The FMCSA has posted an FAQ page about the ban on hand held cellular phones by commercial motor vehicle (CMV) drivers. Multitasking is against the law. Are holders of a commercial driver’s license (CDL) subject to the regulation only when driving a CMV, as defined in 49 CFR 383.5, or any vehicle? 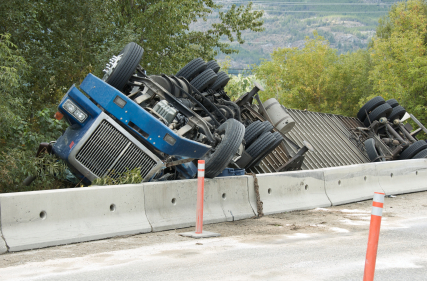 CDL holders are subject to the Federal rule only when driving a CMV. The rule does not require motor carriers to establish written policies in terms of company policy or training programs for their drivers. However, employers are prohibited from allowing or requiring their drivers to use hand-held mobile phones. A motor carrier may establish policies or practices that make it clear that the employer does not require or allow hand-held mobile telephone use while driving a CMV in interstate commerce. The carrier is responsible for its drivers’ conduct. No. Dialing a mobile telephone while operating a CMV in interstate commerce is prohibited by the rule. A driver can initiate, answer, or terminate a call by touching a single button on a mobile telephone, earpiece, steering wheel, or instrument panel – comparable to using vehicle controls or instrument panel functions, such as the radio or climate control system. This entry was posted on Thursday, February 16th, 2012 at 3:26 am and is filed under Front Office, Shop Floor. You can follow any responses to this entry through the RSS 2.0 feed. You can leave a response, or trackback from your own site.